InstaForex is pleased to announce the latest release of Forex Trainer, a software for testing strategies based on technical analysis. In particular, graphical elements such as horizontal/vertical/trend lines, rectangles, and triangles have undergone some modifications. From now on, you can paste an object by right-clicking or via main menu. You can move almost all the objects using the mouse. To increase or decrease the size of rectangles and triangles in one or more directions, drag a sizing handle away from or toward the center. A trend line can be changed the same way. Being in a half line or ray mode, a trend line can rotate around its initial point. The list of all objects can be opened by right-clicking or keyboard shortcut Ctrl+B. This method also might be used while deleting objects. 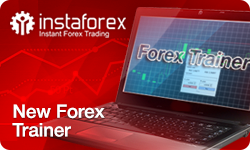 Forex Trainer is upgraded to support additional properties of each graphical object as well. You can adjust a description, color, width, and line type. Besides, from now on you will be able to set coordinates of the starting and ending angles as well as trend lines type (a half line or line segment.) After closing Forex Trainer, all the created objects are saved automatically. The improved version of Forex Trainer will come in handy especially for traders who do not have wide trading experience on the currency market. The software will give newbies a chance to understand all the nuances of forex trading and develop their own effective strategy. 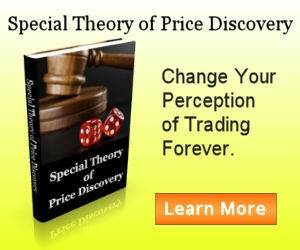 To download Forex Trainer, click here. To learn more about InstaForex, click here.